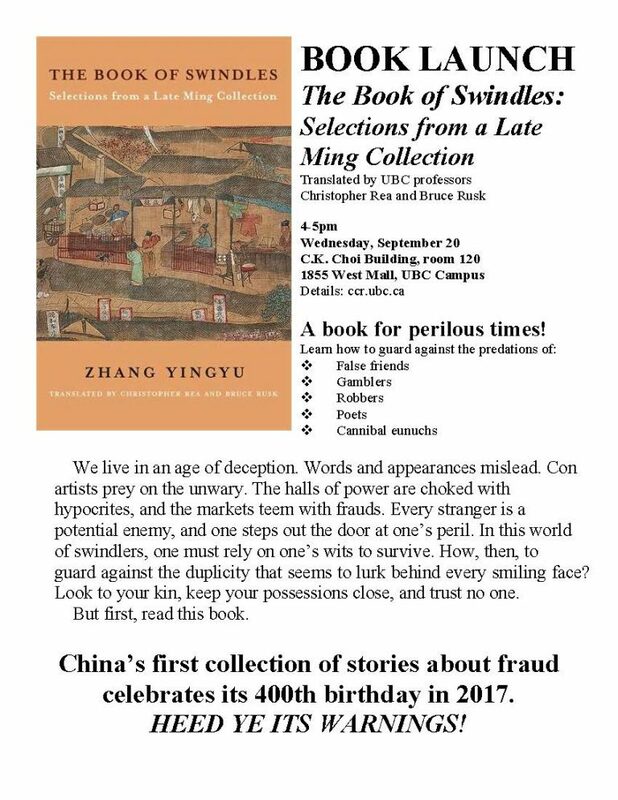 The Book of Swindles, compiled by an obscure writer from southern China, presents a fascinating tableau of criminal ingenuity. The flourishing economy of the late Ming period created overnight fortunes for merchants—and gave rise to a host of smooth operators, charlatans, forgers, and imposters seeking to siphon off some of the new wealth. The Book of Swindles, which was ostensibly written as a manual for self-protection in this shifting and unstable world, also offers an expert guide to the art of deception. Each story comes with commentary by the author, Zhang Yingyu, who expounds a moral lesson while also speaking as a connoisseur of the swindle. 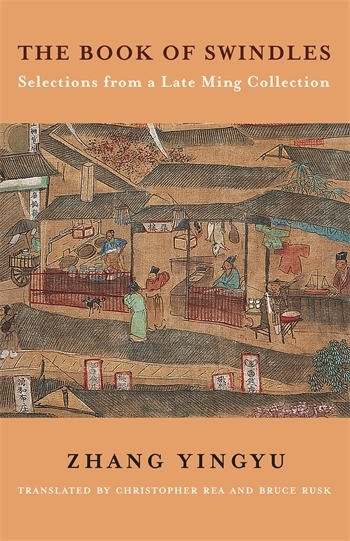 This volume, which contains annotated translations of just over half of the eighty-odd stories in Zhang’s original collection, provides a wealth of detail on social life during the late Ming and offers words of warning for a world in peril. This event is co-sponsored by the UBC Department of Asian Studies and the Centre for Chinese Research.